Having a personal interest and passion for gardening combined with a vision to open a small business, Robert Clarke attended floral school and in January 2006 he and his spouse, Vanessa Clarke, opened a flower shop in their family home located in Upper Island Cove. Having success with the floral business, they wanted to incorporate something to complement their shop, so in the fall of 2014, they decided to expand their operation to include holiday and general giftware. In July 2015 Robert approached CBDC for financial supports to help with the purchasing of an established gas bar and convenience store family business, which was for sale in his community. 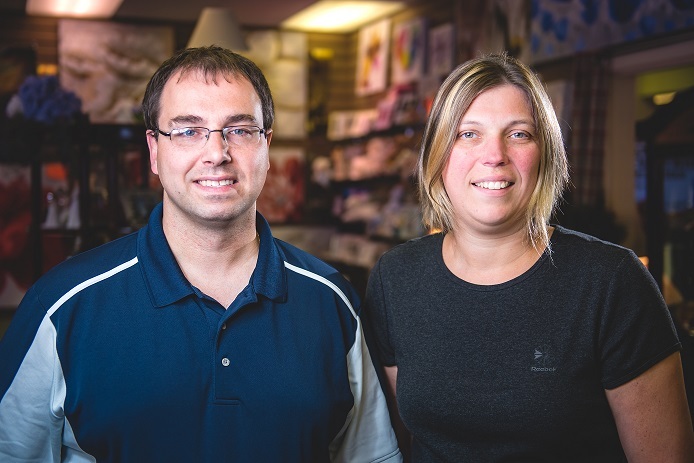 After months of regulatory check lists, applications, etc., on April 1, 2016 Robert and Vanessa acquired ownership and opened the doors of Clarke’s Country Corner. This new enterprise saw the relocation of Clarke’s Floral Design home-based operation to this new completely renovated convenience store and gas bar and the staff of 3 grew into 11 full time and casual positions. Clarke’s Country Corner is now incorporating a food service within their facility which will offer small menu items, cold plates, soups, salads, etc., with a general seating area for customers to sit and enjoy their home-made meals. Renovations will get underway this winter with an anticipated opening of May 2018. CBDC Trinity Conception congratulates Robert and Vanessa on their expanded business over the past 18 months and look forward to their continued success.